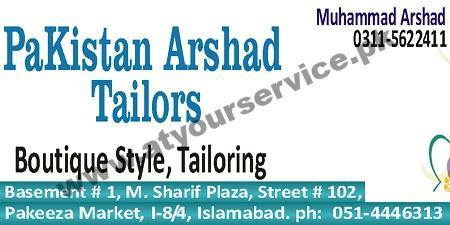 Pakistan Arshad Tailors provides boutique style tailoring services. Pakistan Arshad Tailors is located in Sharif Plaza, Pakeeza Market, I-8/4, Islamabad. It provides boutique style tailoring services.